Sun spots, acne scars, and rough skin are typically part of the outer layer of damaged skin on your face, neck, and hands. 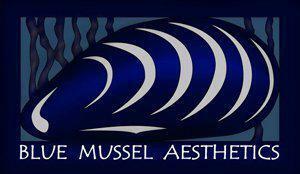 At Blue Mussel Aesthetics in Juneau, Alaska, chemical peels are on their list of the highest standard of medical aesthetic services available to southeast Alaskans. A chemical peel removes the outer layer of your skin to improve texture and tone. Rejuvenate damaged skin with a medical-grade chemical peel at Blue Mussel Aesthetics. Call for an appointment or book online. Chemical Peels can brighten, tighten and smooth the skin as well as reduce breakouts. They can be targeted to smooth wrinkles, address acne, reduce unwanted pigment or just to brighten and refresh the skin in general. Chemical peels work to dissolve the dead cells on the skin surface and address the healthy skin beneath revealing an overall improved complexion. Our chemical peels range in strength and intensity depending on your skin goals. A consult with one of our clinical staff will help determine which peel is right for your skin. You may experience tightness, tingling or burning depending on the strength of the peel and individual reaction. Typically the feelings of discomfort are short lived and resolve by the end of the appointment. Range of downtime is minimal up to a week depending on the strength of the peel rendered and individual reaction. Majority of our chemical peels cost $275 individually, with a bundle package of 4 peels costing$990. Our Advanced Corrective Chemical Peel costs $350 individually with a bundle of 4 package costing $1195.